Outdoor festivals are great for listening to premier artists who perform electronic dance music. However, with so many elements from the event to enjoy, patrons seemed to cheer and to smile a lot as aerial clouds were launched into the air. At the 2018 Imagine Music Festival, the Cloudvertise team worked with several companies to provide high-quality aerial special effects support for a variety of artists. To engage with fans, where the event is centered around music that feels good, aerial sky clouds resembled pillows hovering in the sky. From September 21, 2018 through September 23, 2018, the Aerial Cloud Machine was used to create custom shapes of hearts, peace signs, butterflies smiling faces and stars at the Atlanta Motor Speedway. Helium and soap are environmentally-friendly ingredients that are used to make aerial clouds. Attendees could view floating clouds hovering over the Image Music Festival for up to five hours. This element added to the tranquility of the event and eliminated the need for mylar balloons. To get an equal supply of firepower, four Single-Nozzle CO2 Jets or two Double-Nozzle Jets would be needed to generate a similar amount of CO2 Smoke. Some of the EDM artists who performed were Bassnectar, Kaskade, Adventure Club, RL Grime, Leah Culver, Zeds Dead, Alesso, Galantis, Armin Van Buuren, Zaxx and Jai Wolf. Atlanta Special FX provided Special Effects for the Oceania stage, the Amazonia stage and for the Disco Inferno stage. A fourth stage, the Aerial stage featured a variety of EDM artists, as well. To create an amazing atmospheric experience, Atlanta Special FX worked very closely with several firms. Laser Assassins provided laser effects for the festival, while Music Matters provided LED panels for lighting and sound. Volt Live provided Pyrotechnics for the event. CO2 Masters provided 300 fifty-pound siphon tanks, 40 twenty-pound non-siphon tanks and 40 fifty-pound non-siphon tanks. For pyrotechnics, 32 one-hundred pound propane tanks and 18 nitrogen tanks were provided via CO2 Masters. Entertainers can demand high-performance equipment, such as CO2 Stadium Streamer Cannons and Four-Nozzle CO2 Jets that draw a lot of attention. 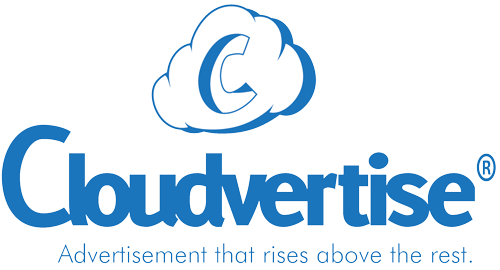 Contact Cloudvertise today to speak with a creative consultant for high-flying aerial cloud Special Effects that builds excitement and brand awareness.